Is there anyone who does not remember when, as a child, their mother would bring out the brown bottle of hydrogen peroxide to treat scrapes and minor injuries? 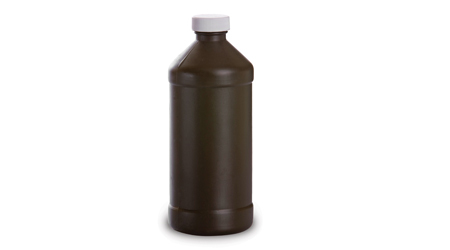 The 3 percent solution of hydrogen peroxide in the brown bottle is still used today. Many find it helpful for whitening teeth, adding to laundry, spotting blood, spraying produce, spraying wet hair after showering to add highlights, and the list goes on and on. As recognizable as that brown bottle was, the reason for its opaque color hints at one of the problems building service contractors encounter when adapting hydrogen peroxide for their purposes: Hydrogen peroxide is unstable when exposed to light. Today, however, chemical manufacturers have been able to stabilize and enhance hydrogen peroxide by blending it in low levels with other safe ingredients to form what is generally called improved hydrogen peroxide. Although different companies offer different formulas with different instructions and cautions, there are some common benefits to improved hydrogen peroxide. By adding different ingredients to low levels of hydrogen peroxide — sometimes as low as 1.5 percent — manufacturers have created a cleaning solution that improves upon the cleaning efficacy, efficiency and germicidal potency of hydrogen peroxide. The products I am personally familiar with have helped BSCs simplify their cleaning operations by removing the need for multiple cleaning chemicals. Hydrogen peroxide has also helped some BSCs improve their bottom lines by saving labor. BSCs use improved hydrogen peroxide for daily cleaning of all types of floors, from high-gloss finished floors, to carpet and concrete. Used regularly, some formulations can even keep grout clean. Do you remember the effervescence when your mother poured hydrogen peroxide on your scrape? That was the cleaning action of hydrogen peroxide, and improved hydrogen peroxide works similarly on cleaning surfaces when used daily. Another benefit of improved hydrogen peroxide is that it neutralizes urine odor on contact. One contractor I know uses the same chemical product mixed in a stronger solution for top-scrubbing floors prior to recoating, and for pre-spraying traffic lanes when cleaning carpet and deep cleaning dirty grout. Some cleaning products containing hydrogen peroxide actually neutralize old soap and detergent residues in carpet and seem to make the colors pop, improving customer satisfaction. Building service contractor supervisors will even find it easier to train frontline janitors, because of the need for fewer chemical products.